This phone is rightfully said as the selfie expert because of it's following features. ColorOS 3.0, based on Android 5.1: ColorOS 3.0, based on Android 5.1 is a special OS created by OPPO electronics. This OS is 25 % faster than previous operating systems, as a result of various optimazation features that are added to improve the efficinecy of the device. It has a unique feature of data saving that saves both battery & data by freezing background apps. It also gives 40% longer battery life by reducing battery consumption as it automatically kills apps which abnomally consume power when the screen is off. Palm shutter: In this feature you have to just open your plam towards the camera to take selfies. 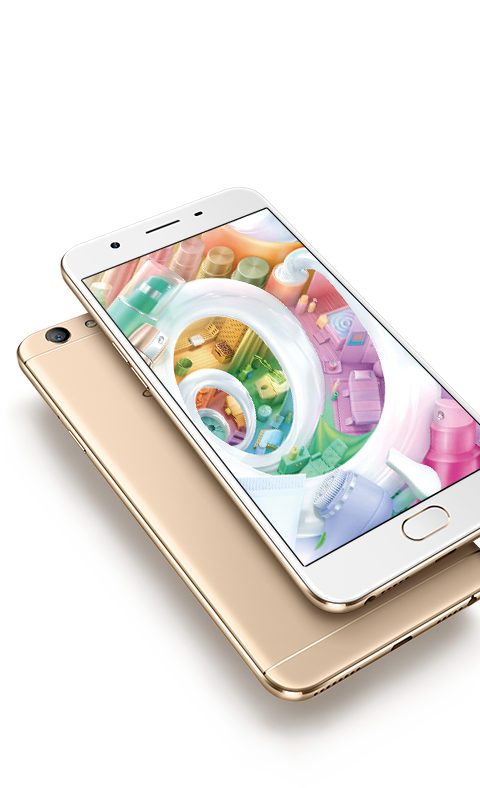 To Recieve updates and possible rewards for Oppo F1s (64GB) Gold please sign in. To Recieve updates and possible rewards for Mobile & Smartphone please sign in.